​It might be that you’re doing a big spring clean, or that you need to engage in professional pressure cleaning periodically to save yourself the time and labour; especially if your home premises cover a large area. Professional pressure cleaning is appropriate for a wide range of materials and surfaces including brick, concrete, marble, sandstone, timber and more. With adjustable settings, intensity of pressure cleaning jets can be adjusted so that dirt is removed effectively without damaging your surfaces or items. 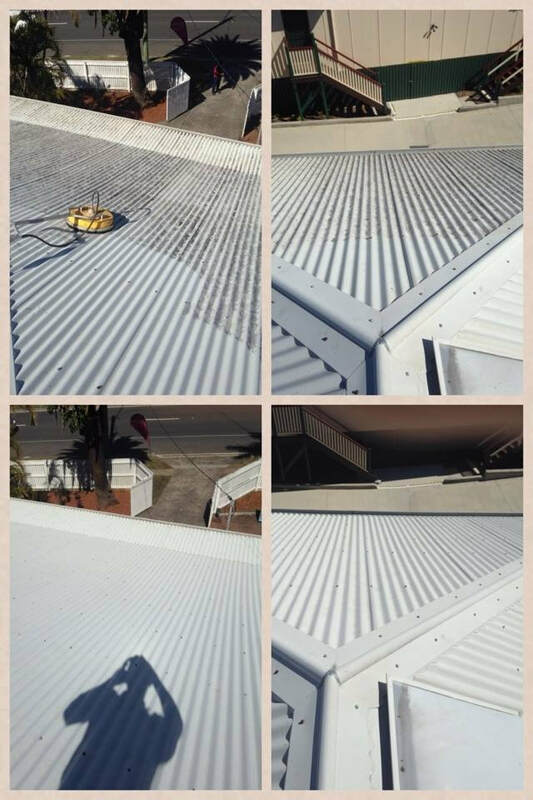 Call us today to book a pressure cleaning service for your brick home exterior, driveway, footpath, as well as hard to reach gutters, drains and roofs. We can also apply pressure cleaning to outdoor areas like patios, verandas and pergolas, including outdoor furniture and structures like fountains, statues or play sets. Pressure cleaning is also ideal for sporting areas such as pool sides and tennis courts. High traffic areas such as retail store shop fronts, strip mall footpaths, shopping centre grounds and office walkway premises are prone to accumulating dirt at much faster rates than normal, and at a much higher volume. This also applies areas within childcare centre premises, schools and universities, commercial garages and workshops. Commercial pressure cleaning services are capable of cleaning large areas much quicker and more effectively than traditional methods. Factories, plants, and laboratories are some examples of industrial sites where our specialists provide their high pressure cleaning services. Our high pressure cleaning methods are safe for use on and around various equipment and machinery such as tanks, boilers and pipes. High pressure cleaning is also helpful for industrial areas that are large scale or feature high and hard to reach walls and ceilings. Lower Plenty, Montmorency, Eltham, Kew, Balwyn, Bulleen, Templestowe, Doncaster, Donvale, Warrandyte, Blackburn, Forest Hill, Nunawading, Mitcham, Vermont, Ringwood, Heathmont, Croydon, Kilsyth, Mooroolbark, South Yarra, Toorak, Armadale, Malvern, Caulfield, Ashburton, Ashwood, Chadston, Mount Waverley, Glen Waverley, Wheelers Hill, Burwood, Knox, Wantirna, Bayswater, Ferntree Gully, Lysterfield, Upwey, Belgrave, Caulfield, Carnegie, Murrumbeena, Dandenong, South Bentleigh, Huntingdale, Oakleigh, Clayton, Notting Hill, Clayton, Mulgrave, Springvale, Keysborough, Noble Park, Rowville, Scoresby, Knoxfield, Prahran, Windsor, St Kilda, Balaclava, Elwood, Elsternwick, Glen Waverly, Gardenvale, Brighton, Hampton, Moorabbin, Highett, Sandringham, Cheltenham, Beaumaris, Black Rock, Mentone, Aspendale, Braeside, Mordialloc, Parkdale, Waterways, Bonbeach, Chelsea, Edithvale, Carrum, Patterson Lakes, Seaford, Frankston, Carrum Downs, Heatherton, Bentleigh, Mckinnon, Ormond, South Melbourne, Albert Park, Langwarrin, Baxter, Langwarrin, Pearcedale, Somerville, Tyabb, Hastings, Mount Eliza, Mornington, Moorooduc, Mount Martha, Arthurs Seat, Dromana, Safety Beach, Red Hill, Mccrae, Lynbrook, Lyndhurst, Hampton Park, Cannons Creek, Cranbourne, Devon Meadows, Skye, Cardinia, Clyde, Blind Bight, Tooradin, Koo Wee Rup, Grantville, Lang Lang, Nyora, Melbourne, Carlton, Endevour, Hills, Parkdale, Narre Warren, Cranbourne, Berwick, Pakenham, Montrose, Yarra Glen, Healesville, Cockatoo, Sassafras, Olinda, Sherbrooke, Hallam, Berwick, Harkaway, Beaconsfield, Officer, Pakenham, Maryknoll, Nar Nar Goon, Tynong, Garfield, Bunyip, Drouin, Traralgon, Langwarrin, Baxter Langwarrin, Pearcedale, Somerville, Tyabb, Hastings, Mount Eliza, Mornington, Moorooduc, Mount Martha, Arthurs Seat, Dromana, Safety Beach, Red Hill, Mccrae, Lynbrook, Lyndhurst, Hampton Park, Cannons Creek, Cranbourne, Devon Meadows, Skye, Cardinia, Beaconsfield, Mulgrave, Brighton.